Whether you are a novice, or a veteran of healing and the spiritual path, Opening the Pathways is the real gateway that takes you into the powerful journey of Metatronic Healing. For the 3 days of this course, you will be totally immersed in the energy Field of Love which is created by Sources of Wisdom and Understanding way beyond our own, as you receive the core energies through the first 7 Metatronic Attunements, and the Transmissions which follow each of these. As you lie down or sit in comfort, your will first feel each Attunement as a physical and energetic touch of the thumb on a given part of your body – a hand or a chakra or an organ, for instance. This touch acts rather like adjusting the receiver on a radio to receive the music we wish to hear, and brings your system more deeply into line with these energies, stimulating your response to the high frequencies that Metatron will offer. Each Divine Transmission then delivers these wavelengths directly into the energetic wiring of your subtle and physical bodies. Each person experiences these energies in different ways. Some experience a sense of softening, expansion and peacefulness, whilst for others the process is less tangible. The purpose of the transmission is two fold. 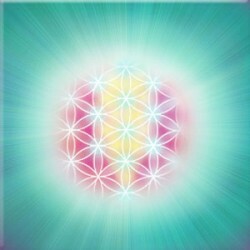 Firstly to give you the healing tool for you to access later in your Metatronic journey. Secondly a healing, as the energy of the transmission re-calibrates old traumas, memories and energetic patterns which have kept you stuck in the past. These begin to help dissolve, and you then can more easily reconnect with your latent power, wisdom and love. Energetic clearance work is also done at a group level – the deeper the clearance of old ‘stories’ or conditioning from the places where the body has held traumatic or self-limiting memories, beliefs and thought forms, the greater is the space created for the ‘new and improved’, empowering information held within the energy of the Transmissions. The clearance work supports the work of the Attunements and Transmissions – together these stimulate tremendous transformation – and there is plenty of time for feedback and sharing: deep friendships are forged in the warmth and companionship of these courses. 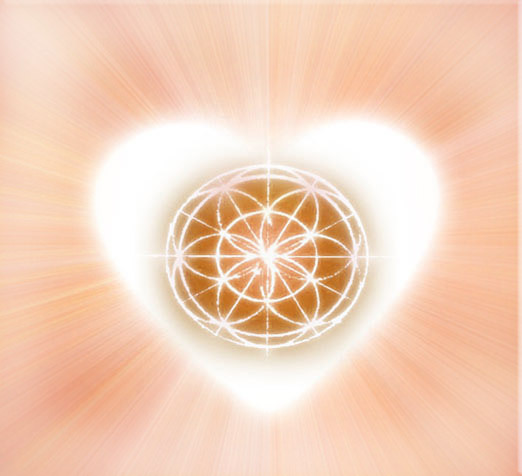 Metatron’s original promise was not merely to “dissolve the story”, or lift it, but also that the heart centres of humanity would be awakened at this time. This is perhaps the most profound gift within the Transmissions. As your heart energy is awakened, and your wounds are more and more deeply transmuted to wisdom, you will find less need to return to old, disempowering habits of thought and behaviour. As you will most probably spend a good proportion of time lying on the floor, wear loose, comfortable clothing and bring a rug and a cushion. Full workbooks are provided – you can ponder through them at your leisure – so in these 3 sacred days you can relax as deeply as you like. “My heart is more open, my eyes are more clear, my body more calm and energetic. I feel much more awake, alive, and in love with being alive.” Fawn, USA. “Utterly speechless .. and now useless for the rest of the day! Absolutely stunning. I had no choice but to let go … my God, huge releases. Thank you.” Joan H, Bakersfield, USA. Many people attend the full programme of Metatronic workshops simple for their own healing, fortification and growth, so this Course is for anyone who is looking to heal their life. Does This Course Give Me a Professional Metatronic Healer Qualification? Not yet, but it does allow you to use the high frequencies that you’ve been ‘wired up’ to – on yourself, and also on loved ones and friends, because you have received this permanent connection to the Source, which will grow and deepen through time. This is course is a fundamental part of the process for those who choose to train as Metatronic Healing Practitioners. Completion of this course qualifies you for entrance to the Golden Alchemy Course, which remakes your “tree of life”. It is that part of us that has been damaged by the twists and turns of life. With this renewed we are strengthened and reconnected with Life. Completion of this second Course allows those who wish to, to take the Metatronic Practitioner course and begin their journey of being a professional Metatronic Healer.